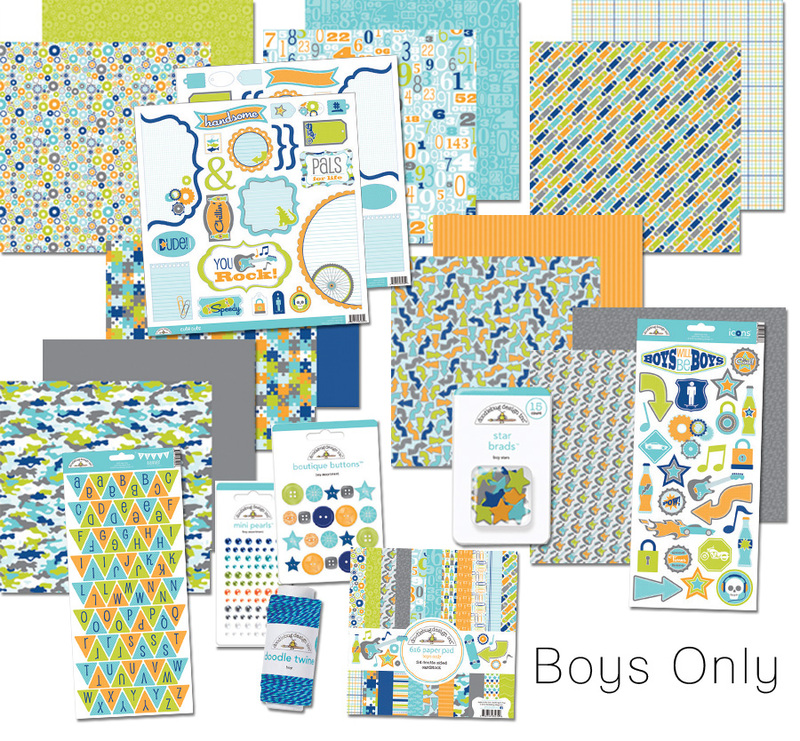 CHA Winter 2012 Release - Boys Only Collection is the last collection that we're featuring here on our blog. Yesterday you got to see the fun Sugar & Spice Collection and we showed you our new Sugar Dot Glitter Papers! In case you missed it from the collection images we've been showing you these past few days, we are releasing four new MINI PEARLS. 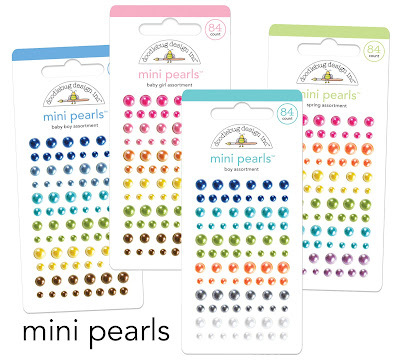 They're similar to our self-adhesive Rhinestones but rounded with a beautiful shiny finish. Love the collection...off to spread the word! This is such a cute collection. I shared on my facebook profile. 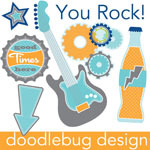 Posted about your wonderful Boys Only giveaway with link on my blog sidebar. I shared on my facebook profile.Love the collection. Shared on facebook. With six grandsons this is a collection I love. I love this! Shared on FB! How fun!! Shared on FB! Cool stuff! Just emailed some friends! What a cute collection! Love the collection and I will gladly share on my FB page. Great collection! I shared on fb. Love it!!! Could really rock the scrapbook pages with this collection!!! Shared on fb!!! Did a tweet @MyransBo about this fabulous collection! Wonderful collection. Have grandsons so have shared the info with my daughter. Love the pearls! Need more boy papers! Linked and emailed all my scrappy friends. Love the boys collection! Emailed my crafty friends. I tweeted. And I LOVE this line! And I also posted on FB! I shared onf FB, sent an email and told my friend that I was eating lunch about your blog. Thanks for sharing with us!! This was one of my favorite releases at CHA! I pinned this post to Pinterest! Fab as always. Phoned 5 friends and e-mailed those that are further away. I shared on FB. 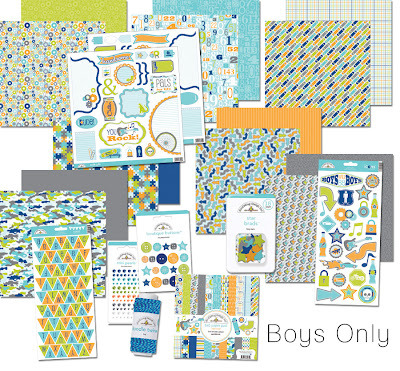 I love boys collections! I shared your new collection on Facebook and can't wait to see it at my LSS. Great collection. I let all my scrappy friends know via an email and a post on facebook. Thanks for the chance to win and I've pinned both of these pics on Pinterest to help spread the word. This line is so adorable, I shared on my Facebook page. Shared on Twitter and Facebook! Love the collection! Great team you have! Love this collection, especially as Im having a boy in June. Shared on Facebook. Cant' wait to get my hands on this one! E-mailed to my girlfriends. I tweeted about this giveaway. Love the Boys Only collection! Thanks for the chance! I tweeted! I tweeted it out to all my peeps- so wish sometimes I had a boy! Facebook got it too! Yahoo! 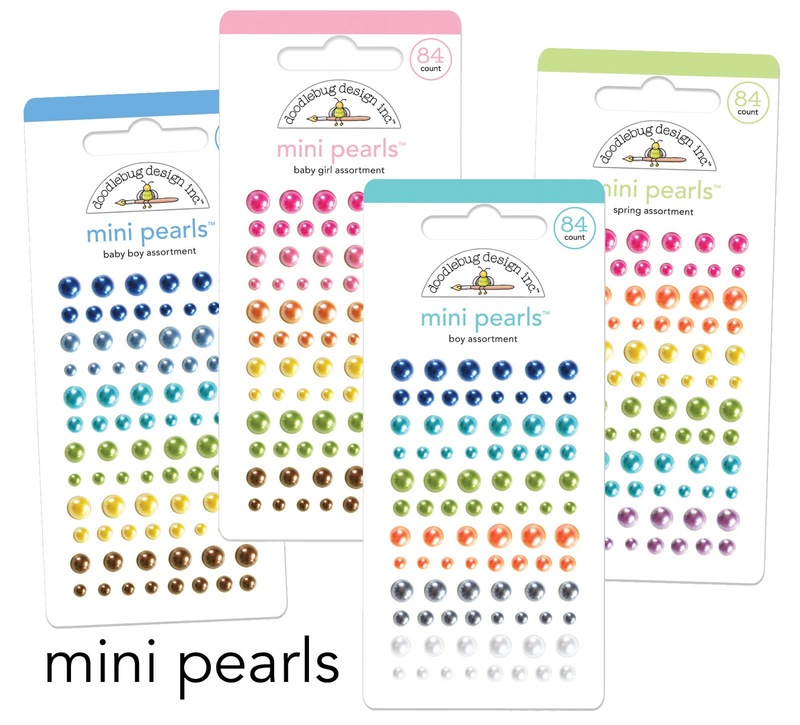 I want every color of the mini pearls!! I shared this post on my FB page! Emailed some of my scrappy friends today and my sister! I posted about the new releases on my blog!! Pinned it! The mini pearls are gorgeous. Love this collection. I shared by word of mouth! I shared by email to a friend of mine whow would love the fact that it's boys. I do too! Perfect for my two boys. Wow!! What a fabulous boy collection! I would love the chance to play with these. I have a ton of pics to scrap of my 2 boys. I blabbered and shared by email too. I love the colors!! I shared by word of mouth.